Various activities were organised to keep visitors entertained throughout Superman Day, including elephant rides, a 50-yard dash and a 50-yard obstacle race for boys, and a 25-yard dash and skipping competition for girls. To top it off, a competition was organised to select the ‘Super-Boy’ and ‘Super-Girl’ among children aged between 8 and 14. 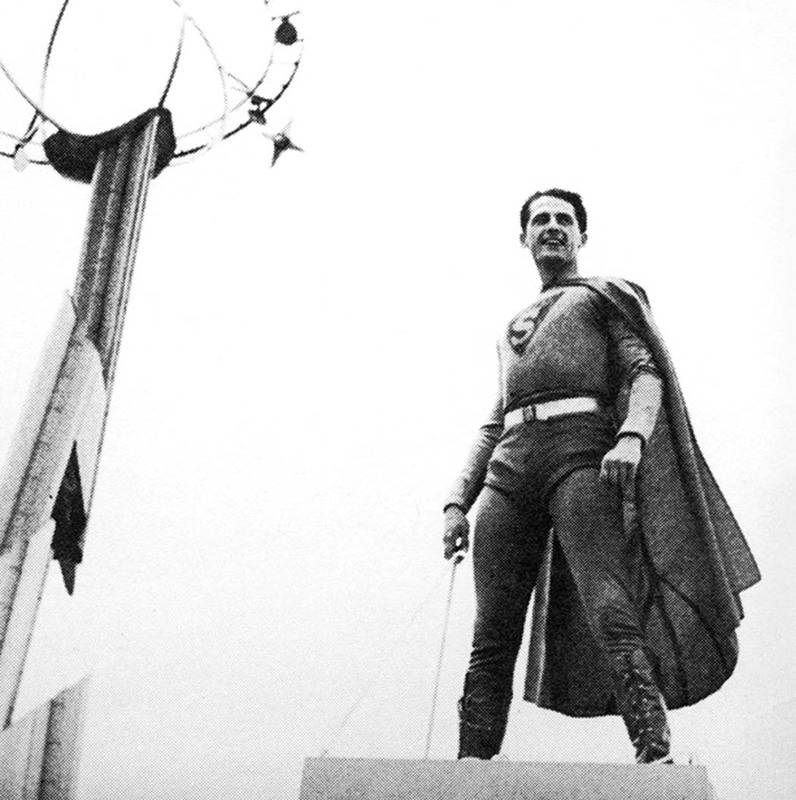 At midday, Superman led a parade through the Expo, on a float with a pedestal. Some debate remains over the actor who portrayed Superman at this first public appearance. Actor and singer Ray Middleton is often credited with the role, but others have claimed that the true identity of the actor remains a mystery. In line with the Expo’s initial theme ‘Building the World of Tomorrow with the Tools of Today’, Superman Day was the perfect occasion to showcase ‘the Man of Tomorrow’ to the public. Superman, who first appeared in Action Comics in June 1938, was easily distinguishable with his blue costume featuring a red and yellow ‘S’ emblem on the chest, as well as the iconic red cape. At a time of international conflict and tragedy, Superman was more than just a comic book character, he also gave hope to adults and children alike. The ‘S’ on the superhero’s chest also symbolised ‘Saving Lives’, ‘Stopping Crime’ and giving ‘Super Aid’ to those in need. This hope chimed with the updated theme of the second season of the Expo, ‘For Peace and Freedom’, reflecting the onset of the Second World War.